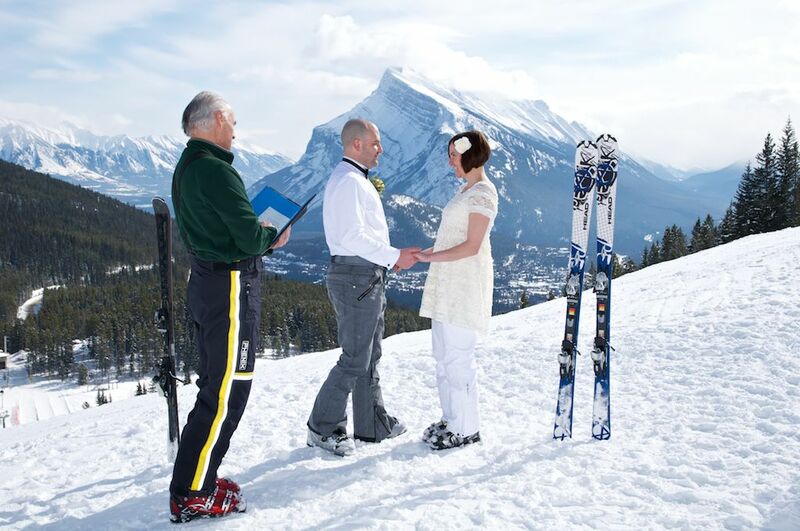 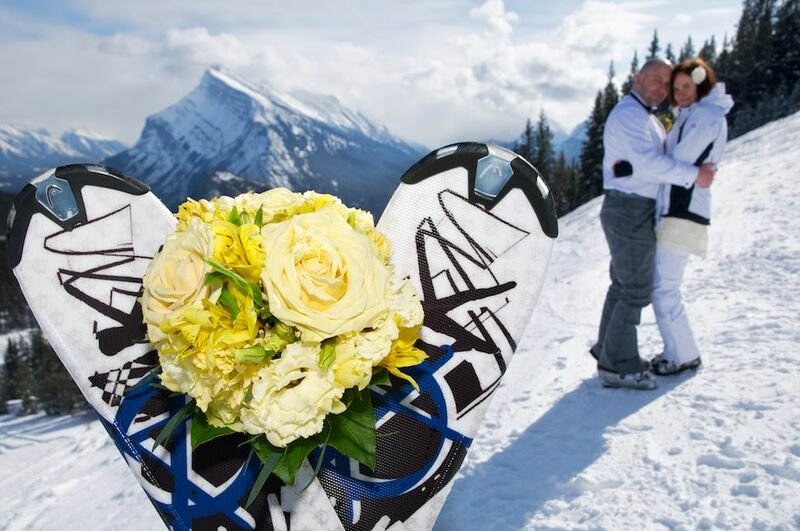 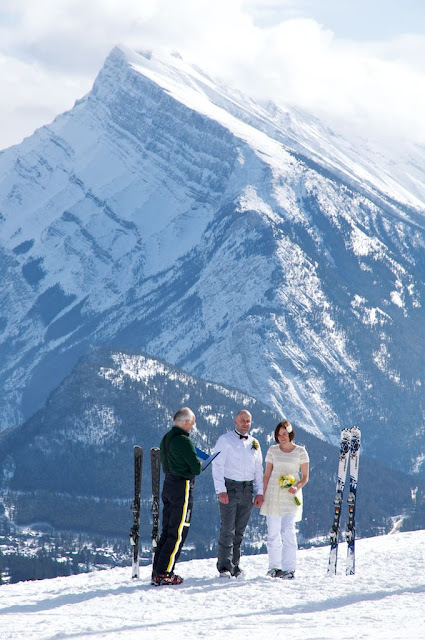 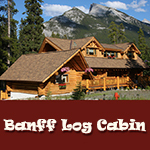 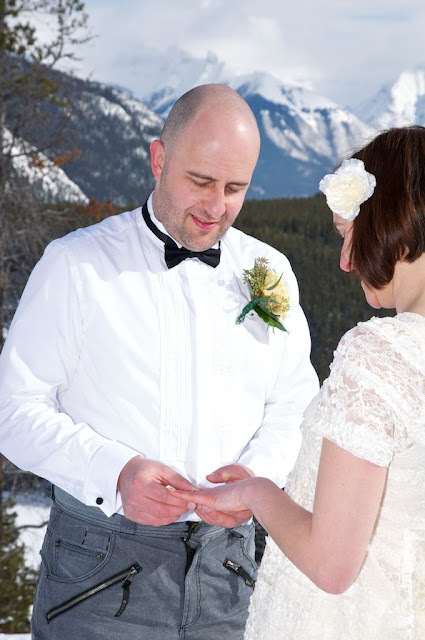 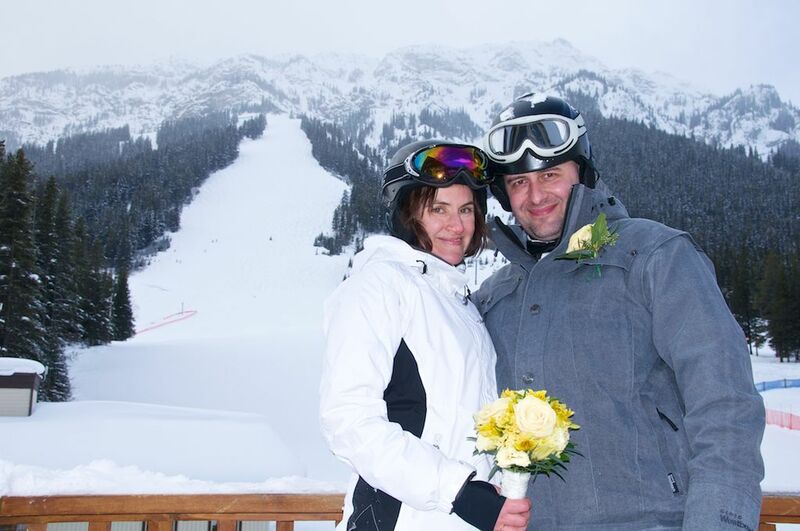 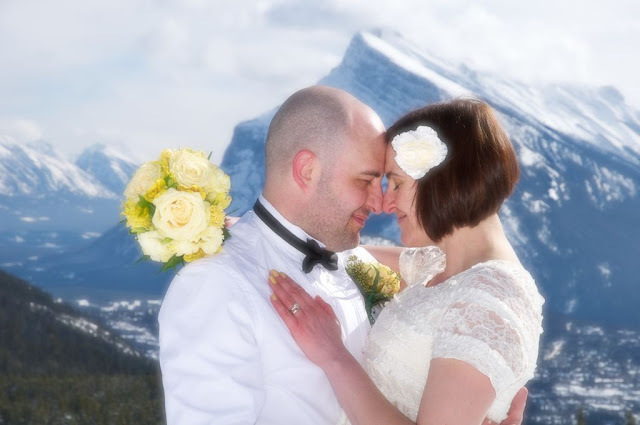 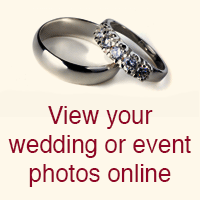 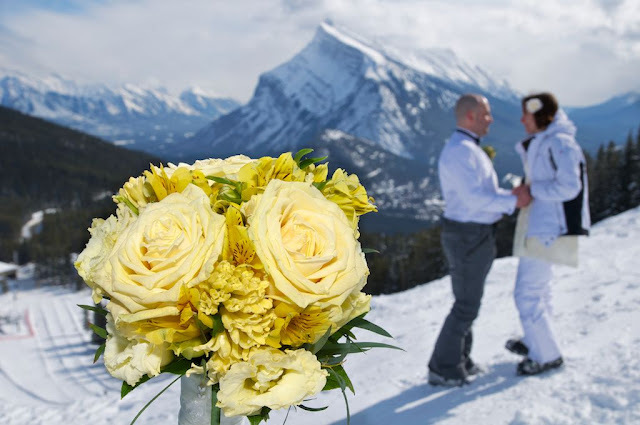 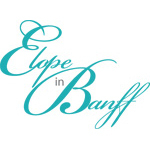 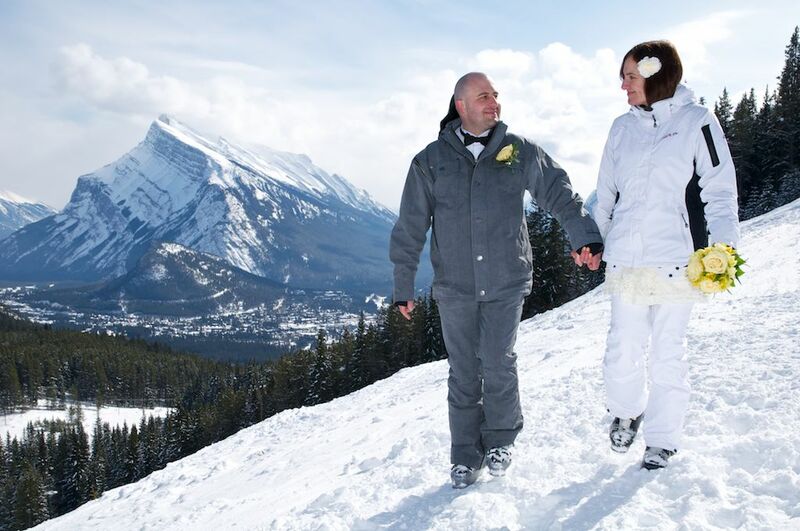 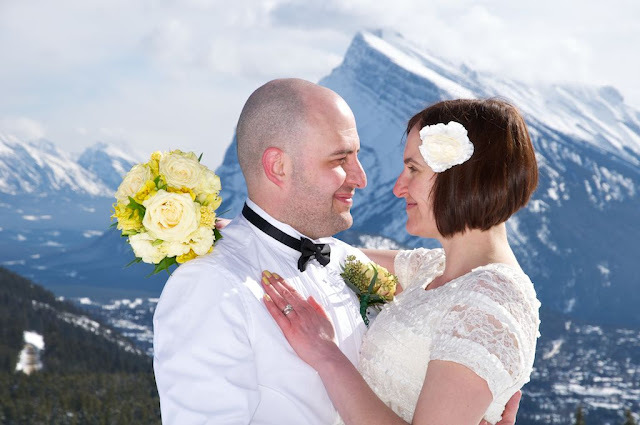 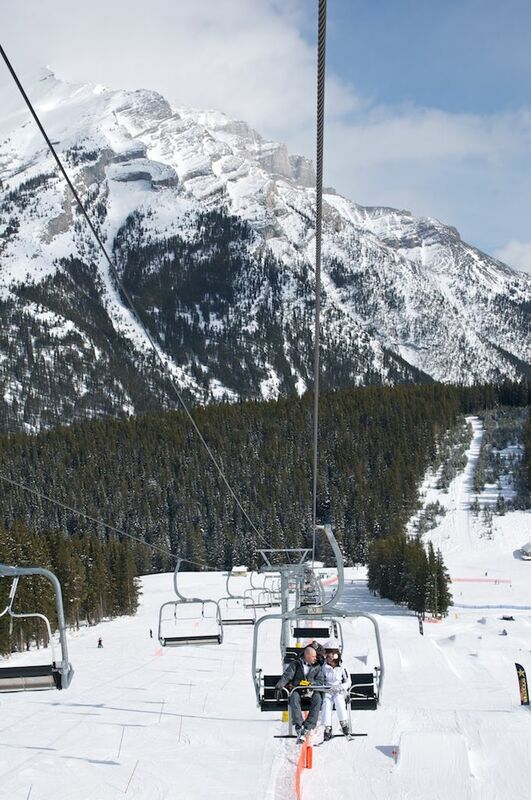 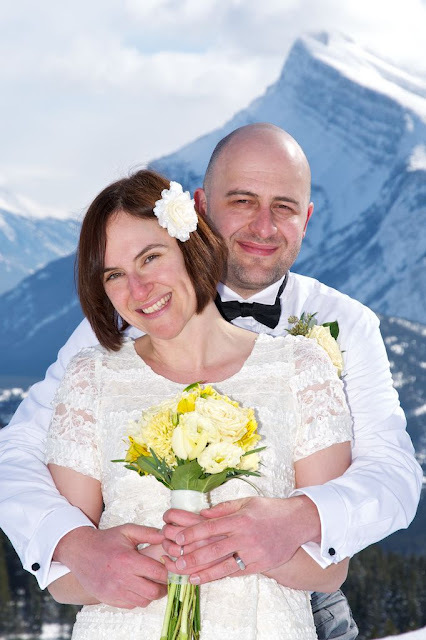 to be married on the Ski Hill at Mount Norquay! 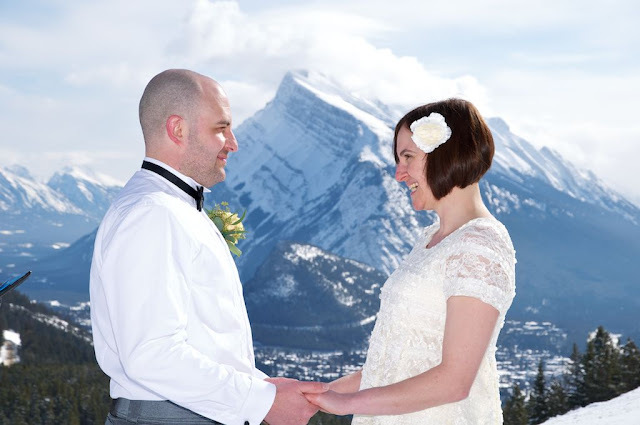 The view of the mountains was amazing, and the weather was perfect. Rundle Mountain makes a beautiful backdrop. 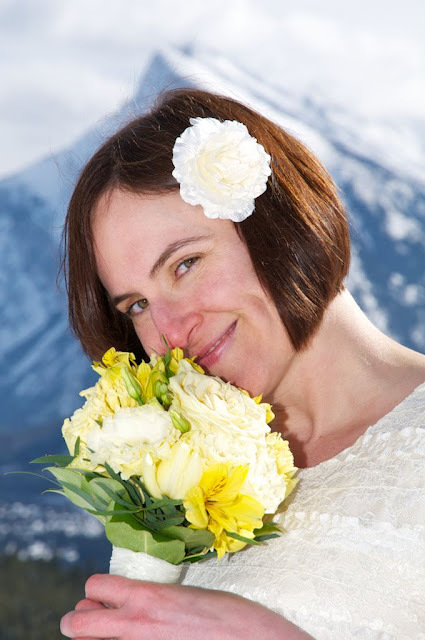 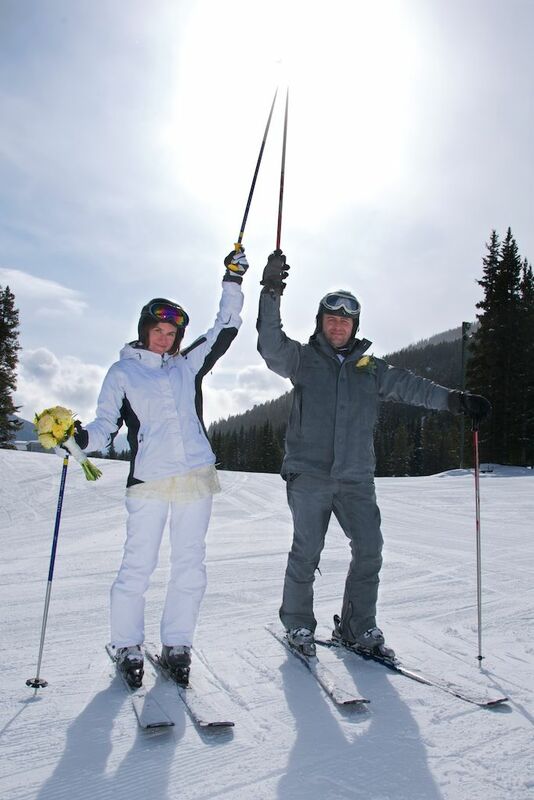 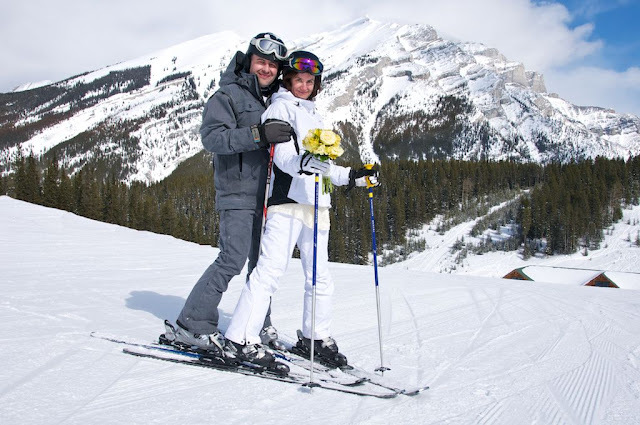 Only a talented Bride can ski while holding her bouquet! 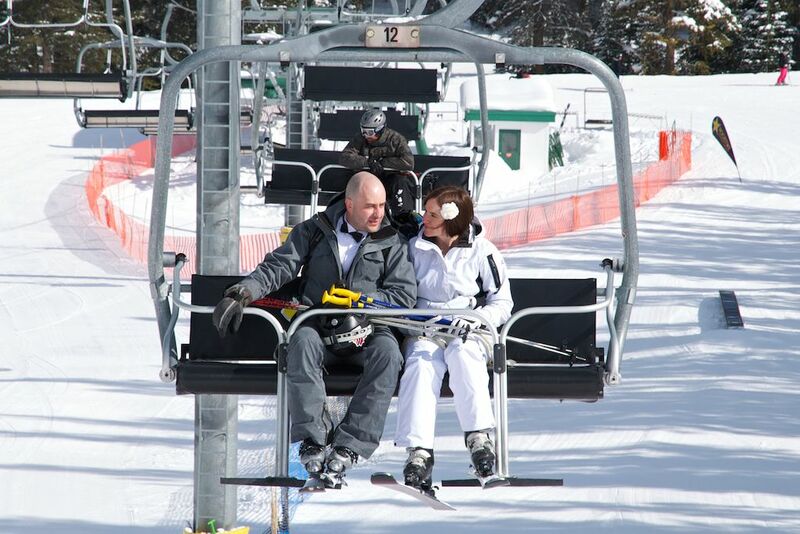 Bride & Groom coming down the isle - I mean riding up the chair lift. 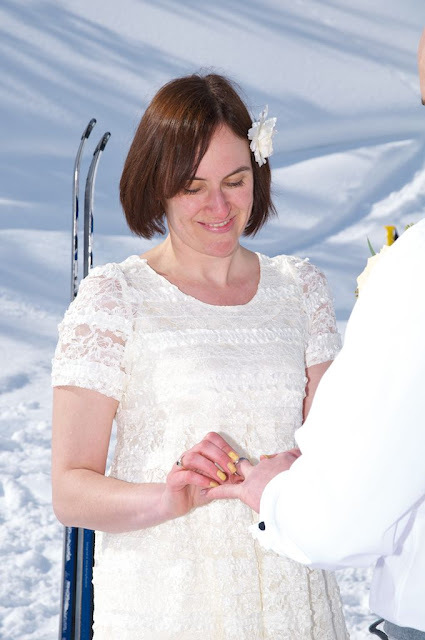 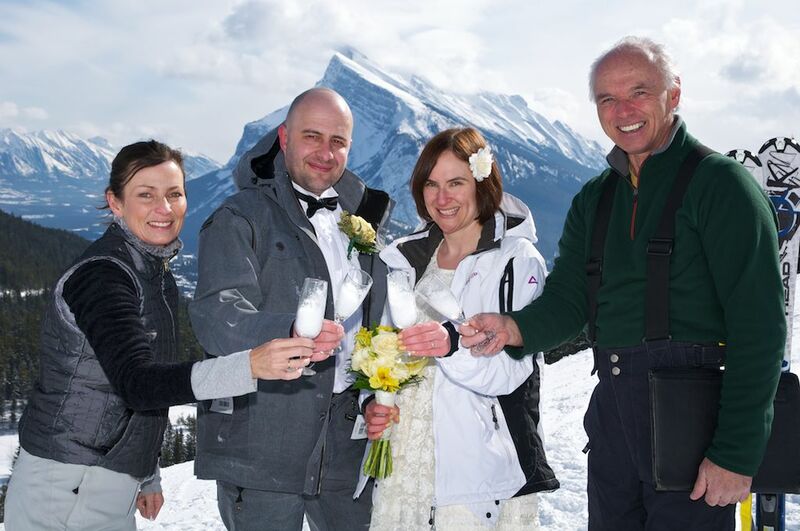 Rob White performed the ski hill Marriage ceremony. 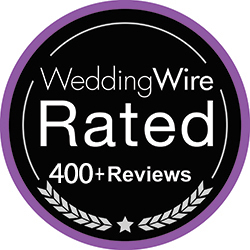 Congratulations to Sara & Jonathan!